Jake Hill made is return to BTCC this season after missing the second half of last year. One round in and the man from Kent has already proved to us why he belongs in this level of motorsport. Hill had his first taste of a BTCC car back in 2013 making his debut at Croft after racing in Ginetta GT Super cup in 2011 and 2012 respectively: however, 2016 was the first time Hill was entering BTCC for his full season. Since then he has participated in 86 races, scored 204 points and 2 podiums. You may not think 2 podiums is much to get excited about but there is more to Hill’s story than numbers. Hill took his maiden podium position at Brands Hatch Indy circuit in 2018 when he was racing for Team Hard. The track was wet but drying and Jake and the team had a decision to make, that decision scored Hill his first podium position when he finished 2nd behind Power Maxed Racing’s Senna Proctor. Despite the excellent start to the season, Hill announced in July 2018 before Snetterton that he had parted ways with Team Hard. Hill was hopeful he would return. It left many gutted fans (myself included). Fortunately, after working hard Hill is back in BTCC for 2019 racing for Trade Price Cars Racing in their Audi S3 Saloon car with ex F1 driver Mark Blundell for company. Jake and his dad Simon are two of the most lovely, dedicated and hard working men I have had the pleasure of meeting and knowing. I was there when Hill was on for his first podium at Silverstone back in 2017 and then had a mechanical failure, and I was also there when Hill scored his first podium. There have been some big highs but also some heart-breaking lows. Hill made his comeback well known at Brands this year by making the right choice and opting for slicks in the wet and tricky conditions, much like the year before. 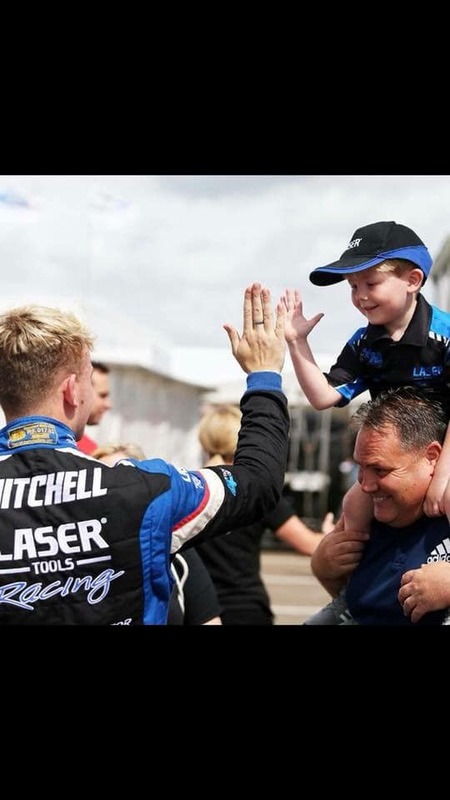 Hill started 15th and worked his way up to 2nd having some very good battles on his way through, especially with Laser Tools Racing’s Aiden Moffat. Hill nearly followed it up in race 2 but only managed 4th on the grid, but still an excellent result. Race 3 was when the bad luck hit as contact with Ash Sutton led to mechanical failure and retirement. Despite that there is so many positives to focus on going forward. Hill is quick and he deserves good results and I’m sure not only himself but the team, his friends, family and fans will be doing all they can to get the best results possible every race weekend and pick each other up when it doesn’t go the way they desire. Hill is back where he rightfully deserves to be and from what I can see, he has come back, stronger physically and mentally and is ready for anything. Personally, I was so excited to see Hill back because he is fast and he is genuine. I really wish the best for himself and the team. I cannot say enough good things about Jake and his dad Simon. I have supported Jake since I met him in 2017 and himself and Simon have always been the most friendly and welcoming people. You can see their passion, dedication and hard work a mile off. That is the kind of driver I want to support on this rollercoaster of emotions we love and call motorsport. Best wishes for the season Jake and Trace Price Cars Racing! If you heard the name Charlie you would think of everyone you know called Charlie but if you heard someone talk about Mini Moff you would know exactly who they were on about; and that’s 6 year old Charlie. Charlie is Aiden Moffat’s mascot, he is a regular face around the BTCC paddock, joining Aiden at the autograph sessions and watching qualifying and races in the garage or hospitality. 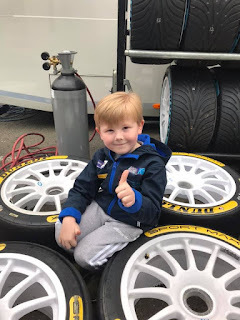 Charlie first attended his local circuit Brands Hatch when he was only a year old. But by then he had already picked Aiden as his favourite after watching him on TV at Brands Hatch in 2013. I was lucky enough to meet Charlie at media day last week (thanks to his lovely mum Jane) and he just radiates happiness and excitement. He is just so happy to be there and he has so many people looking out for him as I saw Clio Cup driver, Jade Edwards come up to him and she picked him up and messed about with him. It was so nice to see him so happy around everyone. I asked Charlie if he ever expected to go to all these different races and be Aiden’s mascot and he said no, he just liked Aiden. I don’t think anyone expected it to work out the way it has but you can tell not only himself but his family are grateful for it as well. His mum Jane also helps out with hospitality (she sold me a shirt last season) and made everyone lunch on media day. Charlie told me he wants to be a touring car driver, when asked who he wanted his team mate to be, guess who he said? Yes, Aiden Moffat! He said Aiden would help him and give him all the advice he needs to win. Charlie is only 6 but he has goals and that is never a bad thing! He is already karting and will compete in a few open meetings this year. He is being coached by British GT4 Champion Jack Mitchell (not a bad choice ay?) 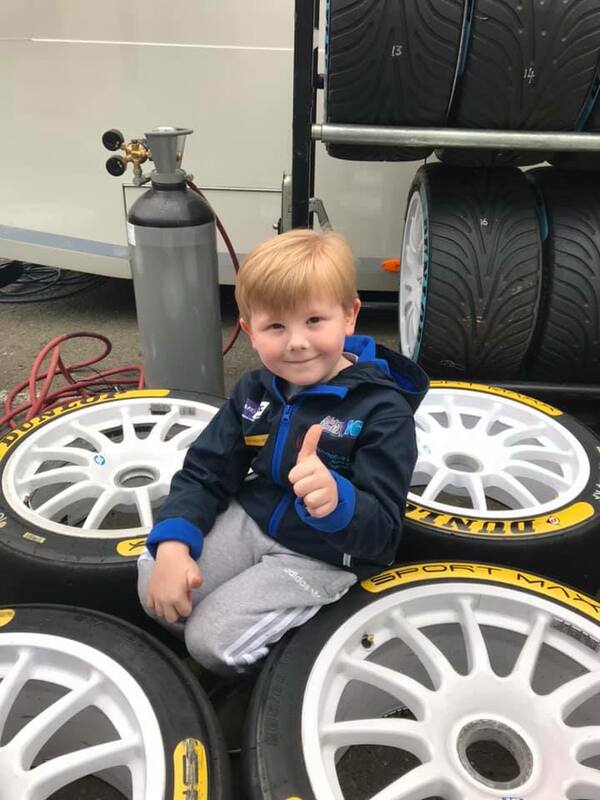 So, when Charlie is 7 he will hopefully be ready to join cadet karts and work his way to join Aiden in BTCC! 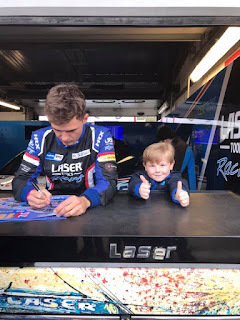 Until then, Charlie is just going to continue to hang out with Aiden every race weekend and support his favourite driver. Why go watch BTCC at Brands Hatch? When I first attended Brands Hatch I was never sure what to expect, other than for it to be busy. It has its good points and some areas where there is room for improvement. However, I would 100% recommend it as one to go to. It is not too hard to find, clearly signposted and there is always someone around to guide you to the right place. Immediately as you walk through the gate you can see part of the track and one of many stands. As you follow the road/path around, you pass all these stands full of merchandise from all categories. One stand which one of my friend loves is one with screws and locks and all sorts of bits and bobs, once we get there we leave him and come back half an hour later to collect him! Once you find your way out of that stand you get to the funfair section. It has a few rides and obviously bumper cars so we can imitate some drivers driving skills (or lack of). For the younger children, there is a digger they can play on, slightly envious I am too big to have a go! There really is something for everyone. If you survive the bumper cars and look behind you, you can find most BTCC teams awnings and hospitality units. You can walk along and sometimes catch a glimpse of a driver or two! However, some teams like Team HARD for example, set up their hospitality in the support series’ paddock. Which actually has many benefits as I find they are one of the friendliest teams, you can go up to them and have a chat with anyone that’s associated with the team, they are always willing to say hello and spend some time where they can, that’s including drivers and the busy man himself Tony Gilham! But in all fairness, most if not all teams are friendly and approachable. So, if you see anyone you want to talk to or ask a question don’t be shy. Also, the awnings is the place where you can buy a team’s merchandise or a couple of stands will sell them too. The track has many good viewing points. If you want to guarantee yourself a good seat and it’s not raining you can pay that little bit extra for a grandstand seat. However, I would suggest if you’re just going for one day to walk around and watch from as many different view-points as possible. Even if it means getting your new trainers all muddy! I am speaking from experience, the other views are worth it (and you get a funny story about nearly falling into mud). If I go for the weekend I tend to walk around as much as possible on the Saturday and see what I can but then relax a bit more on the Sunday and stick to one good spot. Normally because my legs ache from the previous day and because there is always so much exciting racing going on I don’t want to miss a single thing! I personally think it is a very good track if you don’t mind hills but watching a BTCC or a F4 or any of the other cars go down the hill then up towards droids after the first corner is something I love. The anticipation of waiting to see who completes a move, who thinks they’re in the bumper cars and who is going to go that bit wide and kick the dust up. However, saying that, droids is also a very good action zone. They have made it easy for those visiting the circuit to get good views and those excellent pictures too! I do really enjoy Brands, it is a well chosen circuit to have the first and last rounds of BTCC, although the only criticism is that you cannot access the paddock without a pass due to the entrance being through a tunnel. But that is more for safety as all the support categories drive through that tunnel so they do need to restrict that! So, if you want to meet the drivers its best to get to the track early Sunday and get in the queue for the pit walk (which I have done and I must admit had a lot of fun doing) and hanging around the awnings between races and drivers always make an appearance in hospitality to greet their VIP’s. I try and go Brands Hatch for BTCC as much as I can, I went for the season opener and finale last year and both were highly entertaining and fun (despite the cold). I am hoping to expand it this year as looking at their calendar Brands Hatch is hosting a lot of great racing in 2019. I cannot wait for my visit next week for media day and then at the start of April for round 1 of BTCC and the season officially getting underway!